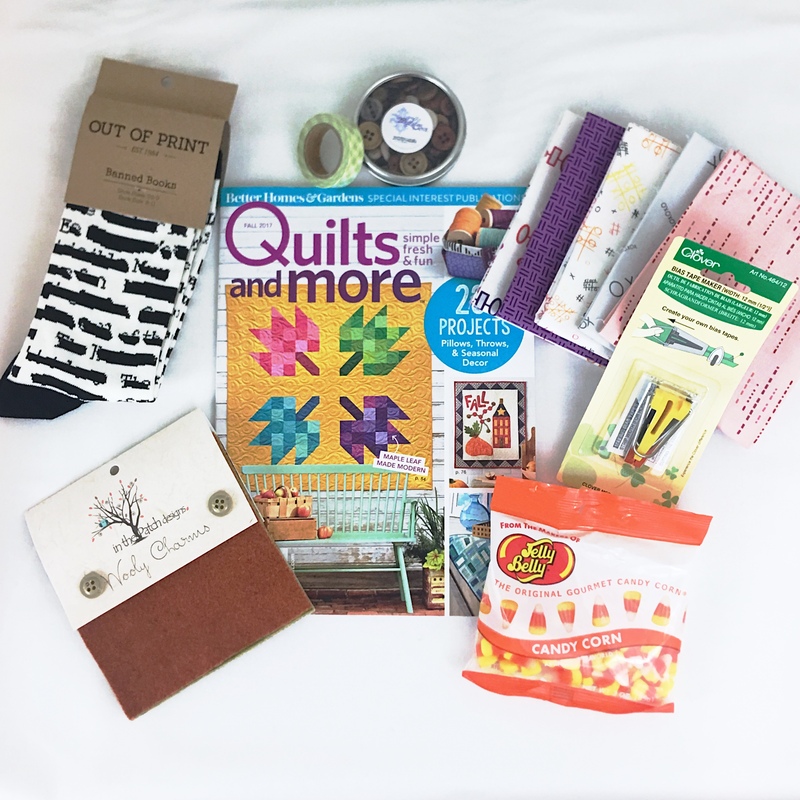 'All People Quilt' magazine curated this month's box, and includes: 1. Fall 2017 All People Quilt Magainze. 2. 5 fat quarters of 'A Shout, A Whisper, A Text' by Sarah Maxwell 3. A wooly charm pack 4. clover bias tape maker 5. gourmet Candy Corn 6. A box of embelashing buttons 7. Washi tape designed by Lori Holt 8. Banned Book socks. All items correspond with projects and articles from the magazine.